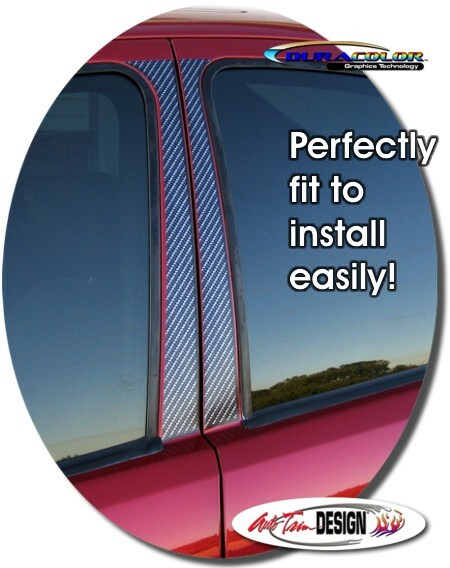 Enhance your 1998-2000 Ford Contour or 1997-2000 Ford Mondeo's door posts by adding this awesome "easy-to-install" decal set. Manufactured with a Simulated Carbon Fiber look, this three dimensional graphic looks great! The set is packaged with one (1) precut decal set for each side (no trimming required). The decals are simple to install and includes easy-to-follow general online instructions.